This week Kevin, Donnie and Nathan talk about Shadow of the Tomb Raider, Spider-man, Call of Duty Blackout. Answer a ton of questions and of course cover some of the news of the week! 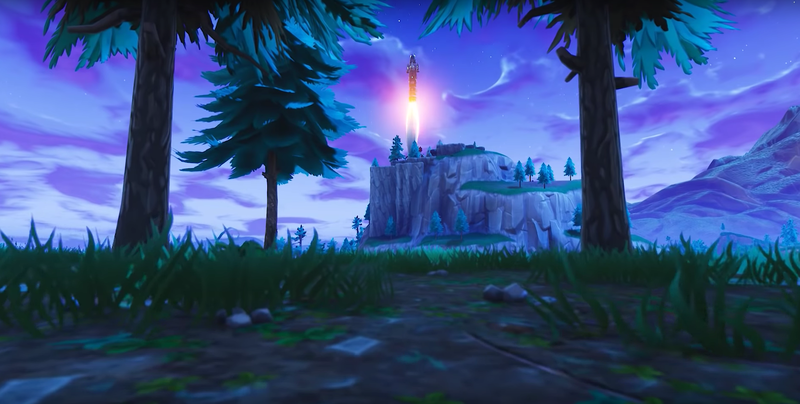 https://youtu.be/IJ0Igj3xfwQ This week Kevin is joined by Donnie and Caro as we discuss a special patreon announcement, the delayed Nintendo Direct and the strange announcements that have followed, Fortnite Monopoly, Humble Bundle, Lego Harry Potter and the Witcher Netflix Series. https://youtu.be/i6tQbtIrEdk This week Kevin is live with the triumphant return of Dev, and super ultra rare guest Lucas from Fluxtaposed. We will talk, Doom, Overcooked 2, Bethesda, our Favorite limited edition console, COD, Battlefield and MUCH MUCH MORE!!!! https://youtu.be/6wboPg3CviE Kevin is on with the boys from Board with Video Games to talk about Villianous, Targets new "Game" plan for board games, Red Dead 2, Nazi's and much much more. https://youtu.be/tq5jqByY3vE This week Kevin is joined by Seth and Josh as they discuss Gloomhaven coming to Steam, Madden, Does Nintendo have an obsession with Cross-Dressing, Spiderman and much much MORE! https://youtu.be/P3krjxiXrIk Kevin, Josh and Donnie answer a boatload of listener questions, discuss what they are playing and tackle the news with topics such as Xbox Scarlet, Fortnite, Smash Bros Ultimate and Arcade Cabinets. https://youtu.be/SopEHO-7Ipg Against his better judgement, Kevin decided to invite Dev, Nathan, AND Coach to this weeks episode. Besides your normal expected anarchy we discuss Microsofts rumored new "hardware" as well as the state of their first party line up, we also chat a little about madden, lego DC Villians, and the ONE game brave enough to stand up to the Red Dead Redemption 2 release date. Just was we are wrapping up...the OT fellas hijack the show and make a mini OT at the end! Enjoy! To listen or subscribe to the podcast click here. Thank you all so much for supporting the hardest working group of podcasters and the most amazing gaming community on the interwebs. https://youtu.be/hFD1DOd0Q9Y This week Kevin is joined by the Crew of PSVG OT (Dev and Coach Mo) in this very funny episode we talk about what we've been playing, PS+ for July as well as latest entries into Microsoft's Game Pass, and even a little bit of Madden as Coach guesses the latest inducties in the 99 rating club for this years game. Thank you to everyone who sent in questions this week, they were a little odd but hey so are we and it made for some VERY funny conversation. Download or listen to the audio podcast on podbean or any major podcast provider. Thank you, thank you, thank you. Big shoutout to all of our patrons who make this whole thing happen, and help us make it better! Executive Producers: Jared Gauthier, Dude427, Kevin Austin, Josh Borbone, Tammi Ryan, Robert Miller, Tim Aulph, Joel Brooks, Martini Jean, NastyBoots, David Ray, Jesse Armstrong, Dante Bellini Jr.
Not sure what happened on this one but this episode begins already in progress, however you only missed Kevin's really cheesy introduction anyway. This week he is joined by Seth, Caro and Q to discuss this weeks releases heading into e3. Also, this week on "Kevin Hates Everything" he is aiming his salt cannon at E3 LEAKS. Download or listen to the show over on podbean. Donnie sits down to spill the beans about everything from MomoCon. We discuss games from the show floor, meeting all of these developers who devote so much time and energy to bring their ideas to life so that we could be entertained, what it was like to meet SUDA51 (!!!) and a behind the scenes account on working a convention as a press member. Also, check below for some of Donnie's favorite games from Momocon 2018. You can download or listen to the audio podcast on podbean. For those that listened to our Nintendo Shack podcast last week, yes Erik from Rock Fish Games was an awesome encounter & yes he does listen to the Nintendo Shack podcast. That being said, NO ITS NOT THE REASON EVERSPACE is here in my favorite games list. This game was arguably the most polished, best looking game at the show not to mention as fun to play as it is to look at. Its coming to Switch so those that would prefer to hold out go ahead, but if this one has caught your attention you can play it right away on PS4, Xbox and Steam. Check out the website. It only dawned on me when I sat down to write this blog post and comb through my notest that I forgot to mention Sleep Tight on the wrap-up podcast. What a huge, unfortunate mistake that I'll correct on next week's Nintendo Shack podcast. Sleep Tight immediately grabbed my attention in the Momocon gaming lineup due to the fact that it's coming soon to our Nintendo Switch's this July 26th. One of the many games either on Switch or coming to Switch, Sleep Tight is built on the Unreal engine (just like Everspace) and its a LOT of fun to play. Grab one of the 12 unlockable characters and being building your pillow fort defenses and your favorite weapon and prepare for battle. I only got a chance to play Sleep Tight in one sitting and that's all it took for me to know that this will be a hit game for Nintendo players. Competitive types like our Jason will enjoy the online ranking and leader-boards while Caroline is going to enjoy unlocking all of the sketch-art characters in this Pixar looking hoard battler. Check out there website here. As detailed on the podcast, Mowin & Throwin left a lasting impression on me as I made my rounds around the show floor at Momocon. First, this is a great "con game" in that its fast to play, easy to pick up and learn on the fly, and the frantic gameplay typically means there's a lot of good-nature yelling and smiles all around during a competitive match. The 2v2 local multiplayer only game mixes elements of Plants vs. Zombies with stun and throwables, Overcooked's coordination challenges and Splatoon's turf war. Check out the game currently in beta. A recurring theme to hear on the Momocon floor was "Overcooked-like" or "kind of like Overcooked" and its clear that the formula for frantic fun mixed with couch-coop amongst friends and family is one that indie developers have their sights set on. The best example of a game trying to capture that essence is Cosmos Quick Stop which I must admit has a great opening pitch: "Welcome to the fast-paced world of interstellar gas station management!" Yes, interstellar gas station management (lol). With Cosmos Quick Stop, the team at Big Sir Games have product both interesting in style and gameplay as you rush around the hub cleaning the "glorp" rooms, topping off gas tanks, or grabbing some food. Check out Cosmos on the Big Sir website and get to know two awesome developers in Ian and Erin. Samsara is currently available on Xbox, PC, and mobile platforms and should be getting onto Nintendo Switch sometime in 2018. It's an eye catcher as the Unity game features some really spiffy style that reminded me of ubi-art games (Rayman Legends). While there are a LOT of puzzle games on various gaming platforms these days, Samsara attempts to differentiate from the norm with a light-and-dark world that mirror each other adding a sliver of complexity to some common, procedural block moving puzzles. Its not a real time puzzler, the player moves, rotate the obstacles in the level and then kick off Zee and her shadow self to see if you have the correct combination to get them both to their respective destinations without falling off the level or touching hazards. Interested? Learn more over on the Samsara page. 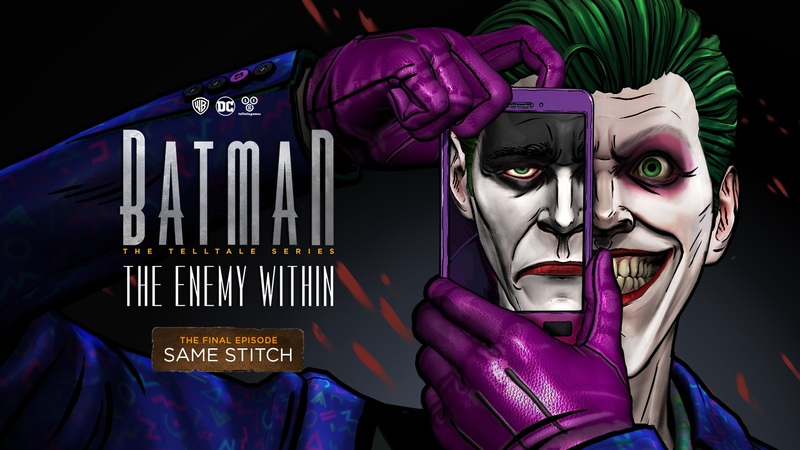 Nathan and Kevin wrap up their series review for Batman the Enemy within with the finale episode 5. Also find out their overall thoughts on this season and what they plan on collaborating on next! Also.... Hi Sean, Hi Dave Click here to download or listen to the podcast on podbean. We had the amazing opportunity to interview two of most amazing, if the the best, voice actors in video games in Troy Baker (Joel from The Last of Us) & Nolan North (Nathan Drake from Uncharted). These guys have tons of experience, accolades, and talent spanning multiple generations of video games, tv shows, and animated series voice-overs. Download this special interview on Podbean!